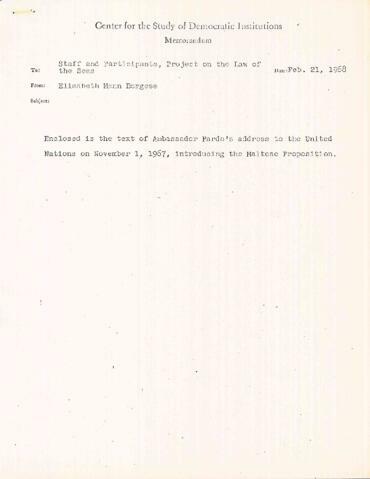 File contains "Provisional Verbatim Record of the Fifteen Hundred and fifteenth meeting of the U.N. General Assemply" in which Arvid Pardo presented the Maltese Proposition from November 1, 1967. File also contains relating correspondence with G.F. Dasi and G. Ghironzi in Italian. File contains mainly English and some Italian language material.